The qualifying round begins now! 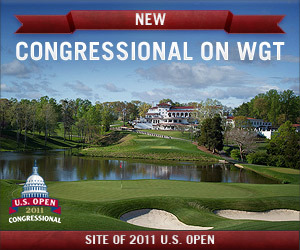 Play the Virtual U.S. Open Championship on Congressional, site of 2011 U.S. Open. Compete for prizes and qualify for the Championship for a chance to win a dream trip to next year's U.S. Open Championship at Olympic Club. 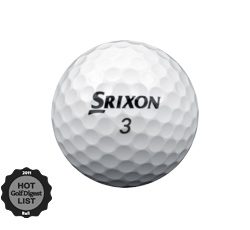 Srixon balls are now available on WGT! The Z-STAR unlocks starting at Level 11 and the Z-STAR XV unlocks starting at Level 13. These new top-performing TaylorMade Burner 2.0 irons (Level 79+) will help you carry the ball farther and stop it more quickly on the greens. They're a perfect match with the Cleveland CG16 Wedges. This Jack Nicklaus resort course from Mexico offers beautiful views and birdie opportunities. You can find Cabo del Sol in the WGT game menus. Note that these new TruGolf courses are 0 credits for 9 hole closest-to-the-hole challenge, 100 credits for 9 holes, and 150 credits for 18 holes. 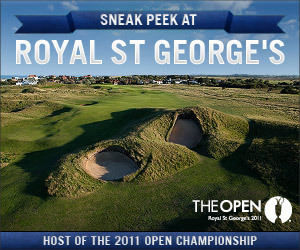 Royal St George’s is coming to WGT. This prestigious course is the host site of the 2011 Open Championship, has hosted 14 previous Open Championships, and is ranked #12 in the world by Golf Digest magazine. You can get a sneak peek at Royal St George’s now by playing in the Virtual Open Challenge , a closest-to-the-hole challenge on the Front 9. The full 18 holes and Virtual Open Championship launch in June on WGT.